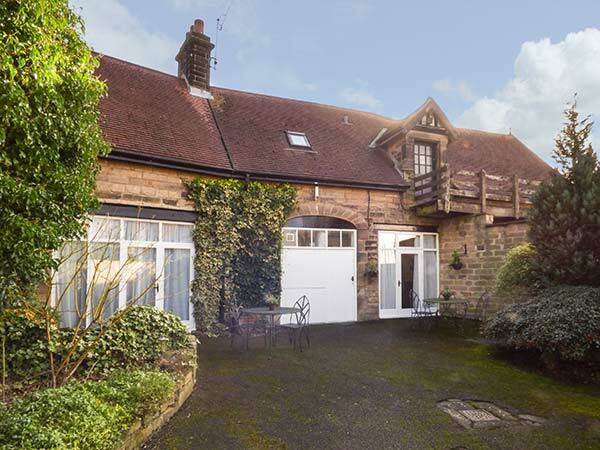 The Stables is a lovely semi-detached former coach house situated next to the owners' home, on the edge of the village of Darley Dale, two miles from Matlock. This cottage sleeps two people and has a king-size double with en-suite, a kitchen and a sitting room with dining area. Outside there's off road parking for two cars and a shared courtyard with furniture. The Stables is an excellent base for a couple or small family with plenty to see and do within easy reach. One king-size double bedroom with en-suite bath, separate shower, basin and WC. Kitchen. Sitting room with dining area.